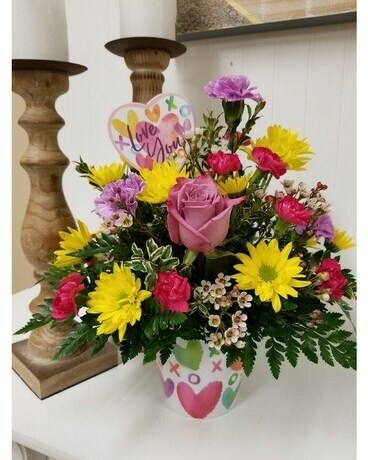 Description: This festive container is filled with a fun, colorful mix of long-lasting carnations and bright yellow daisies. A unique lavender rose is the focal point of this beautiful arrangement. Accented with a Valentine's pick.